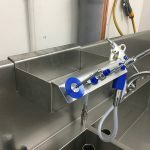 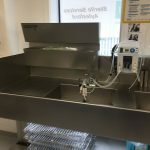 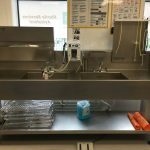 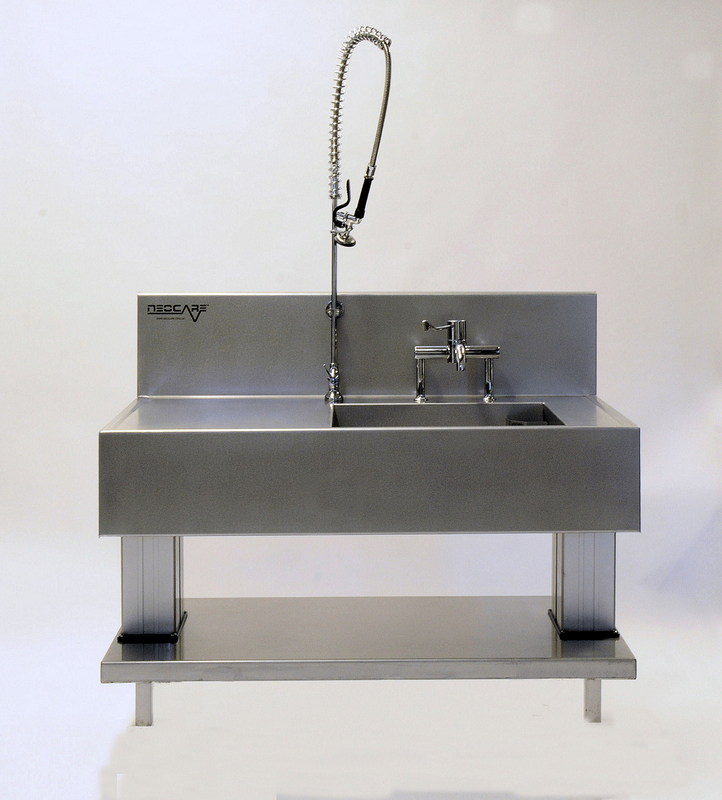 Suitable for all applications where staff need to manually clean instruments i.e. 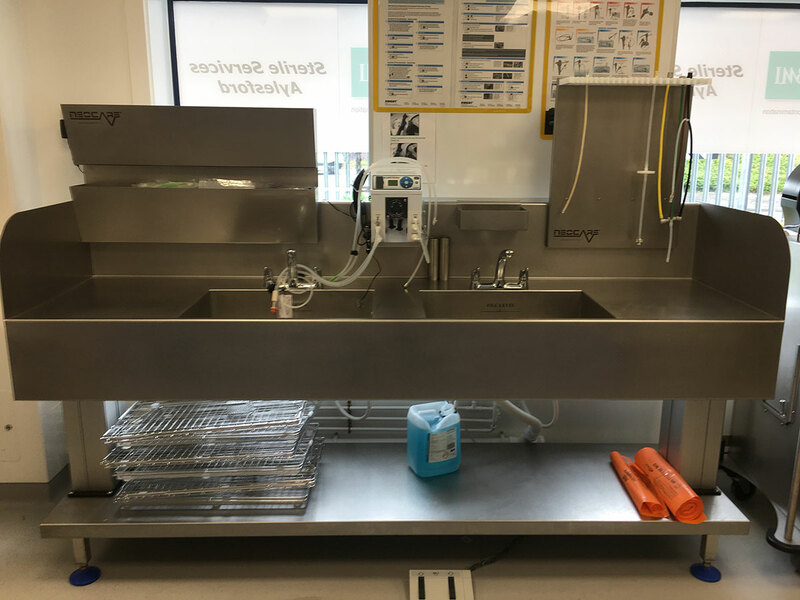 Operating theatres, Sterile Services Departments, Endoscopy. 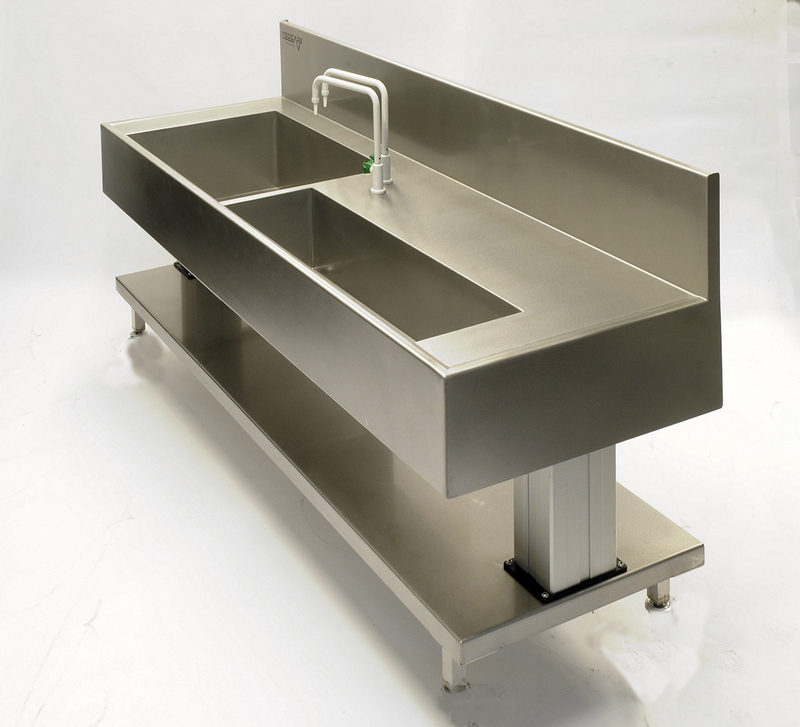 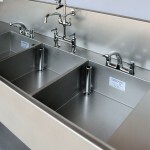 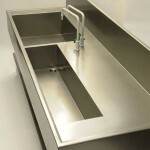 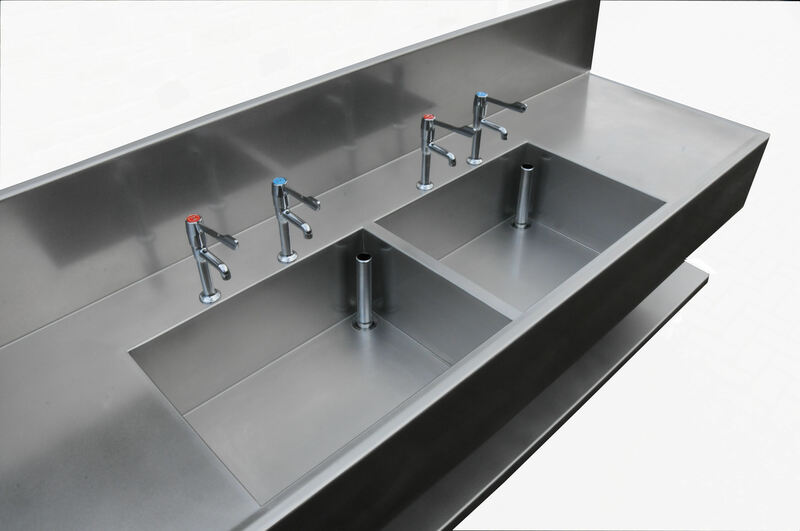 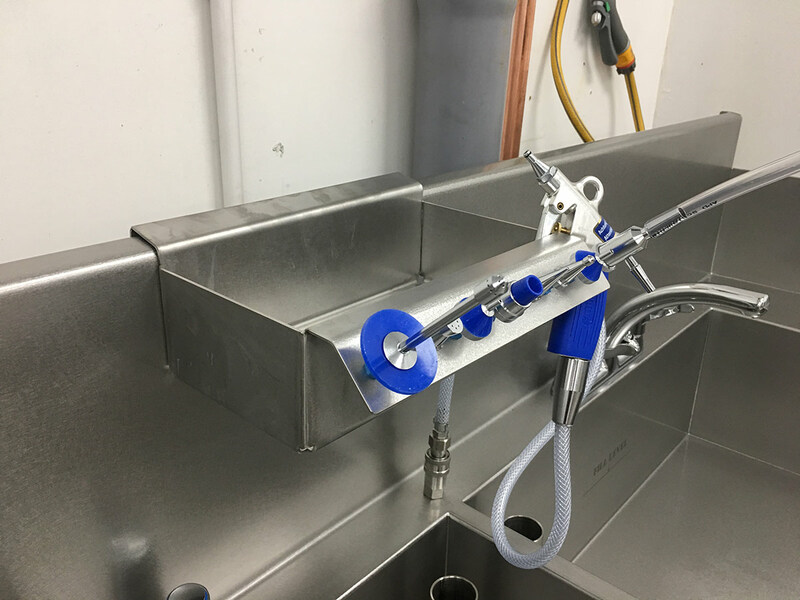 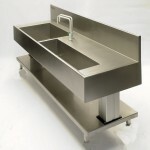 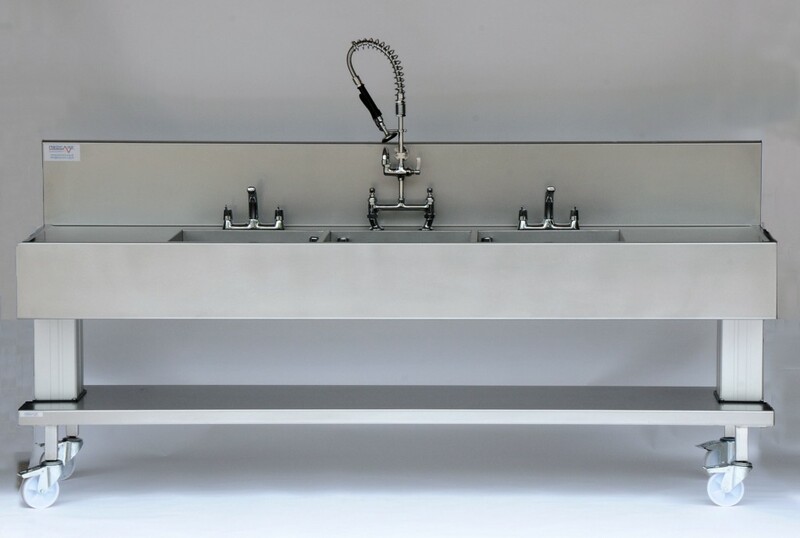 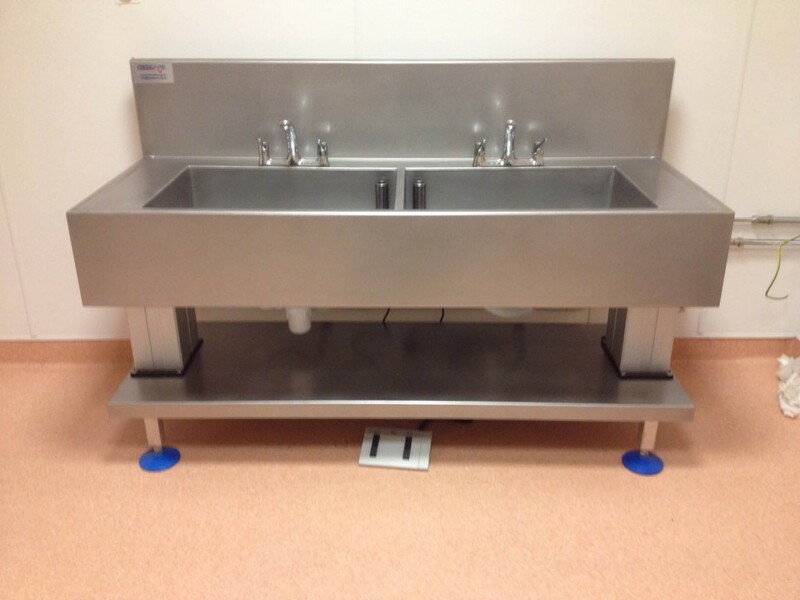 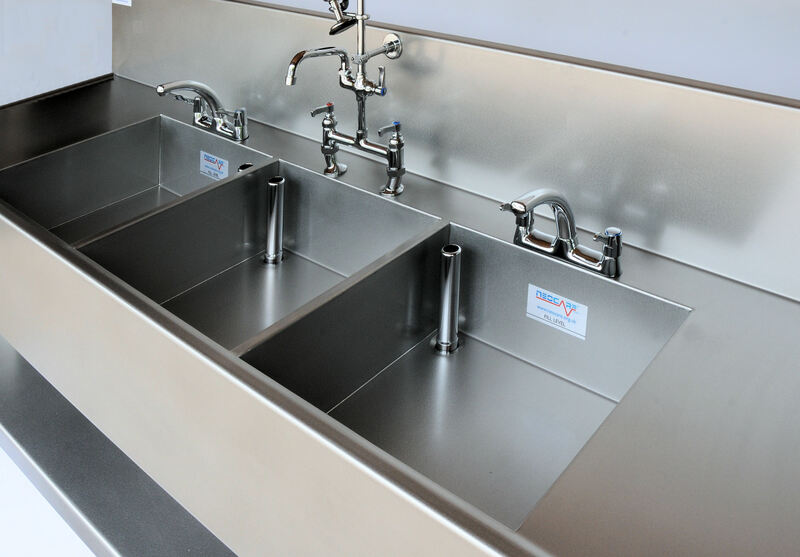 Neocare easy care finish now applied to all stainless fabrication including sinks. 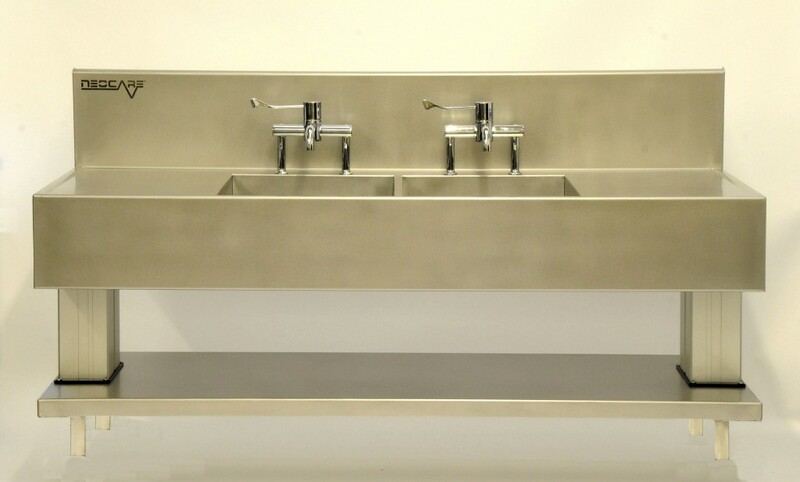 Modern look, stays looking good longer and can be re finished at any time in the future. 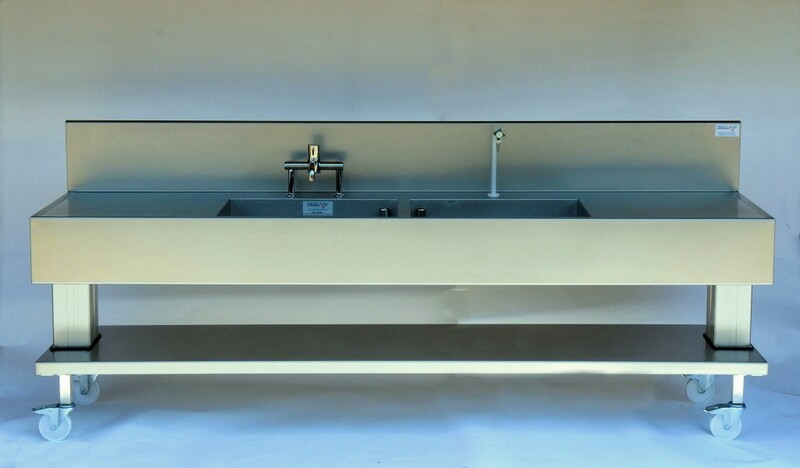 Helps prevent glare from light reducing eyestrain. 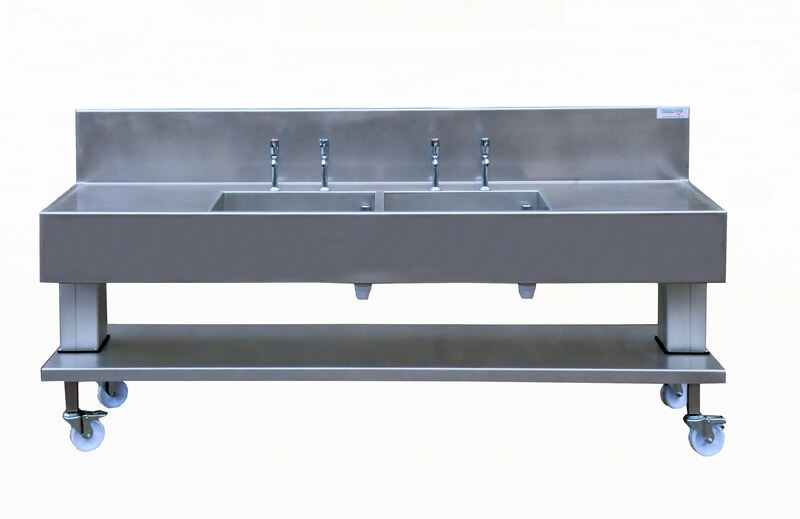 Sink-attached 8-bay organiser for brushes,gloves etc. 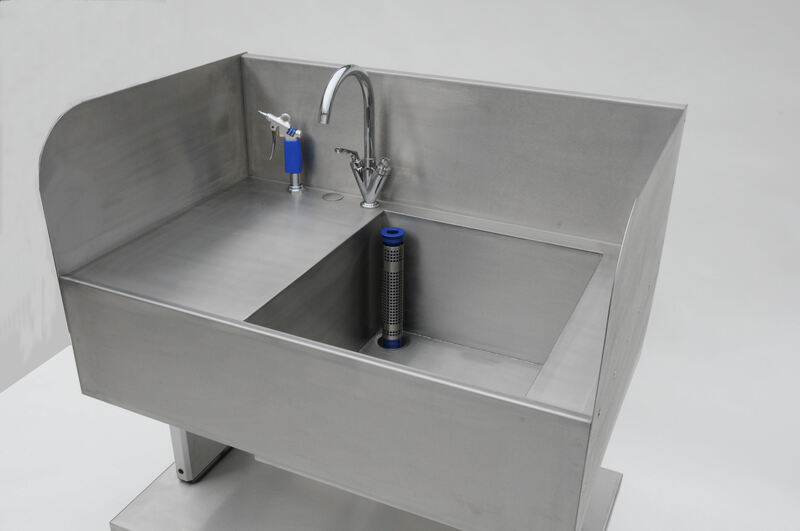 All relevant components are WRAS approved. 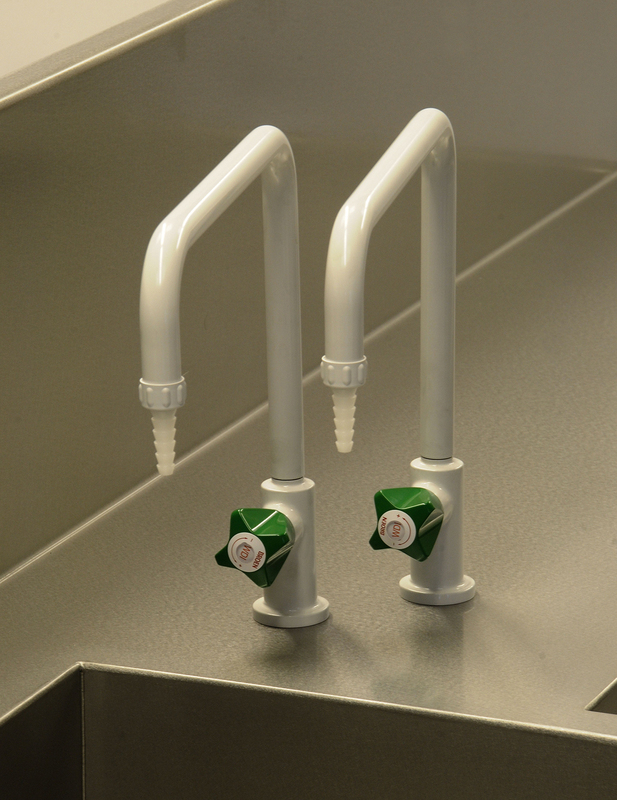 Compliant with HTM 04-01 The control of Legionella and Pseudomonas aeruginosa. 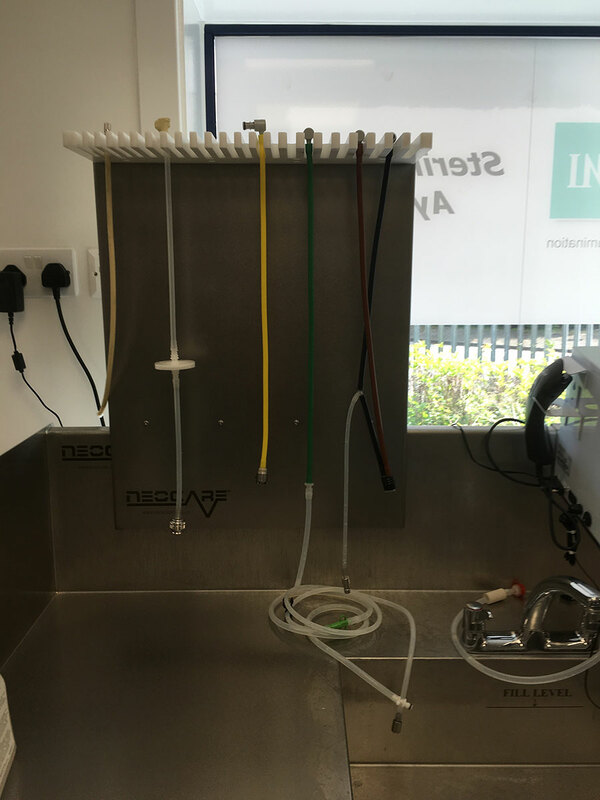 Bowl sizes are optimized to ensure all endoscopes can be correctly cleaned whilst utilizing the least amount of chemicals and water. 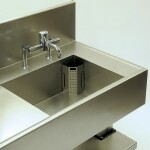 These cost savings over the life of the MDS can cover its capital cost. 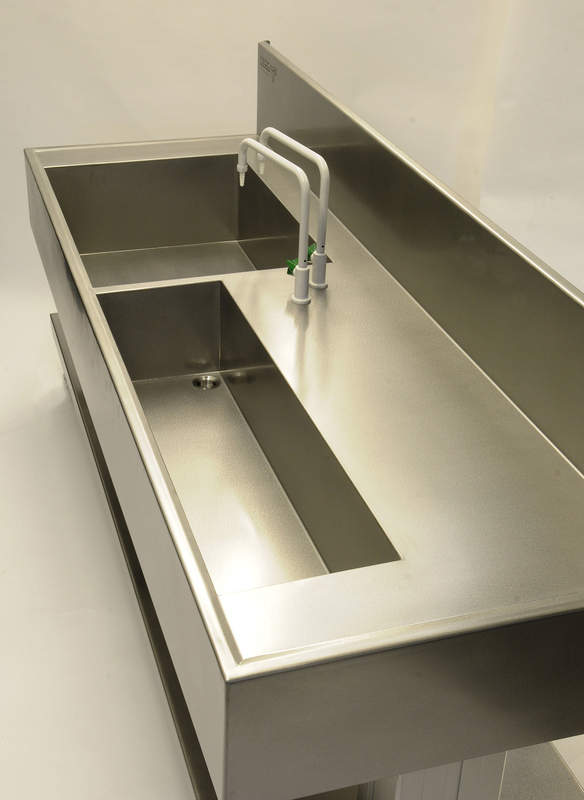 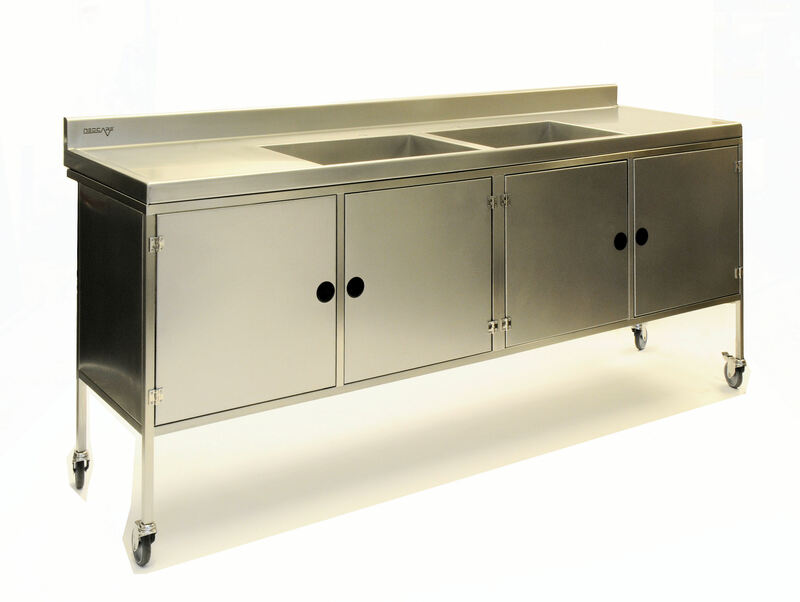 The MDS is fully fabricated from 2mm thick stainless steel sheet. 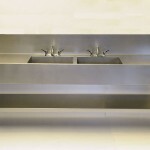 Superior Marine Grade 316 stainless steel used. 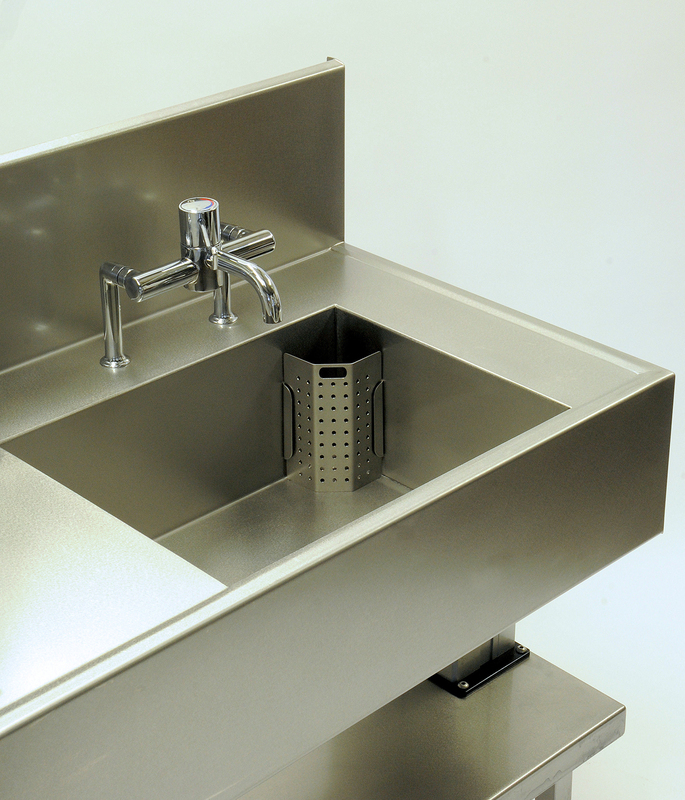 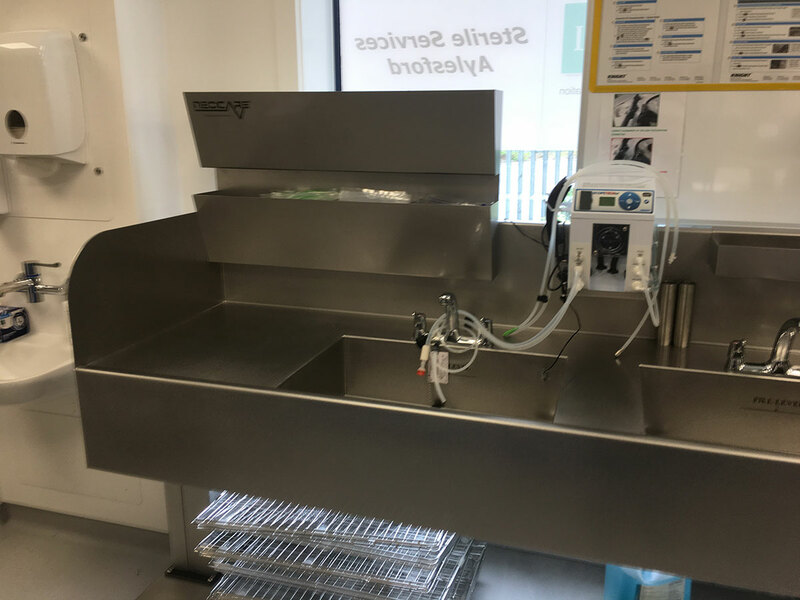 Fully welded stainless steel waste outlet, deters microbial colinisation, especially pseudomonas aeruginosa. 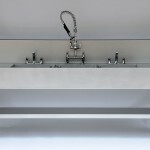 Anti microbial flexible water hose, efficacy tested to 10 years. 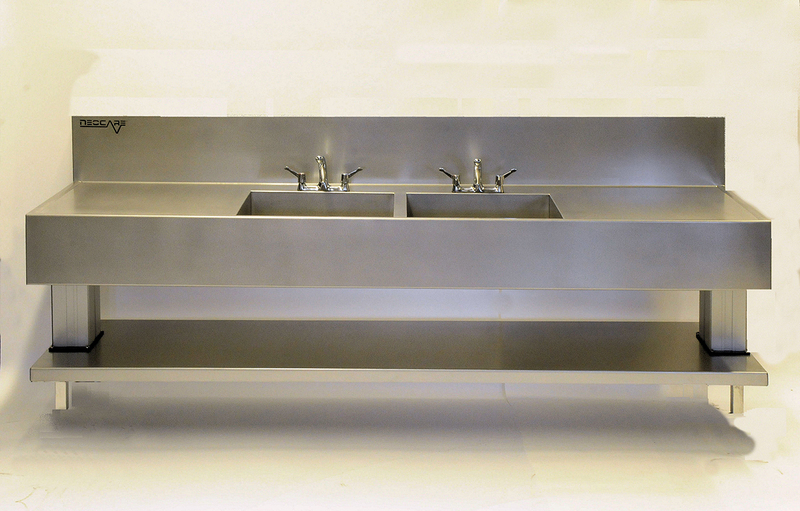 WRAS approval number 1202505. 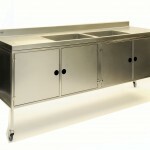 Easy to relocate should service needs change. 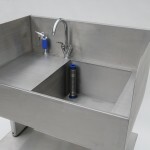 Compatible with all disinfectant and cleaning chemicals. 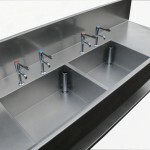 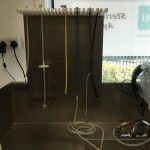 Pegler deck mount quarter turn ceramic, lever, mixer taps included. Thermostatic HTM mixer taps available with sinks at trade prices. 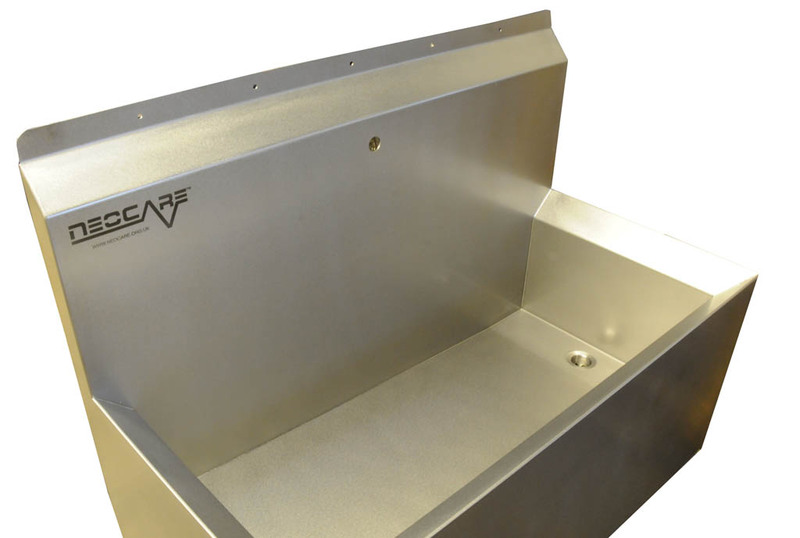 Water level marking on stainless steel waste / overflow up stand. 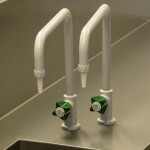 Optional splash back holders for cloths, brushes and scope tech. 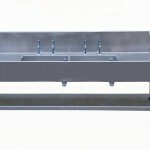 Please specify with order. 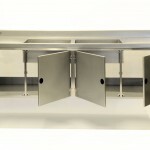 On receipt of order drawings will be made available for inspection and sign off. 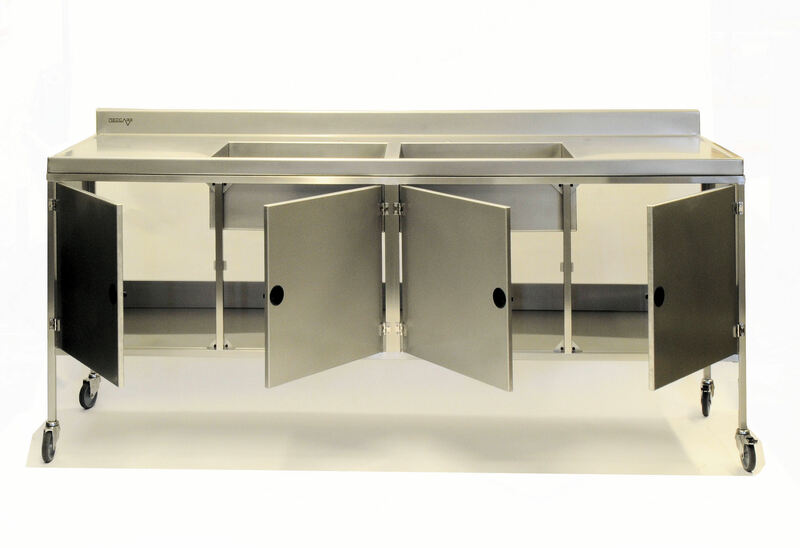 Please contact us if you require ay additional stainless steel fabrication or Storage cabinets for the correct storage of Peracetic acid.